Dr. Gandhe is a Board Certified Allergy/Immunology and Asthma specialist. 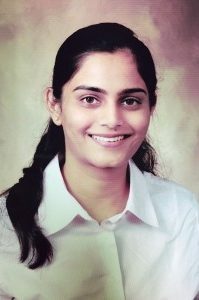 She was born and raised in India and completed medical school at the Government Medical College and Hospital, Nagpur, a renowned medical institute in India. She did her Pediatrics residency at Driscoll Children’s Hospital in Corpus Christi, TX. During residency, she was involved in a research project related to the prevalence of asthma in children residing near sources of petrochemical air pollution. This, in addition to having a child with asthma and food allergy, has motivated her interest in the field of Allergy and Immunology. She completed her fellowship in Allergy and Immunology at the University of Texas Medical Branch at Galveston, TX, in 2014. She worked as an Allergist/Immunologist in Marin County for 2 years after graduating. She recently relocated and joined the Columbia Asthma & Allergy Clinic in August 2016. Dr. Gandhe considers herself a clinician and truly enjoys being a part of clinical practice. She enjoys seeing both pediatric and adult patients with various allergic conditions. She very strongly believes in patient education and considers it a crucial part of comprehensive patient care. She has been actively involved in educating the community and has done food allergy talks for pediatricians, school nurses and teachers. Dr. Gandhe lives in Fremont with her family. In addition to taking care of her patients, she enjoys listening to music and spending time with family and friends. Treats single/multi allergens at once: Both options: Combined peanuts, tree nuts, and seeds. Combined milk and egg. Combined grains. Combined milks.